Style: JAHWNBTI A life-saver for all-day beach days. 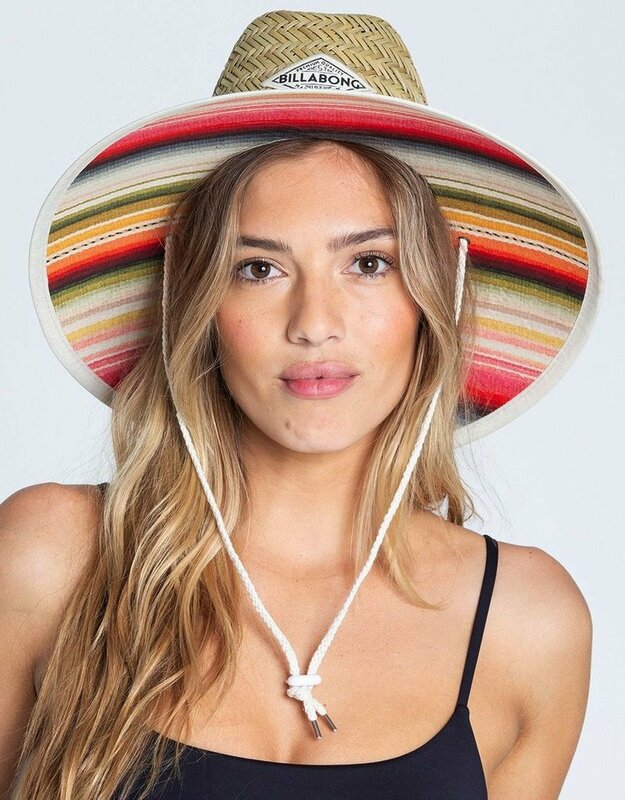 Create your personal palapa in this Mexi print-trimmed lifeguard hat, topped with a Billabong logo patch at the front. This staple hat offers up sun protection alongside classic style. 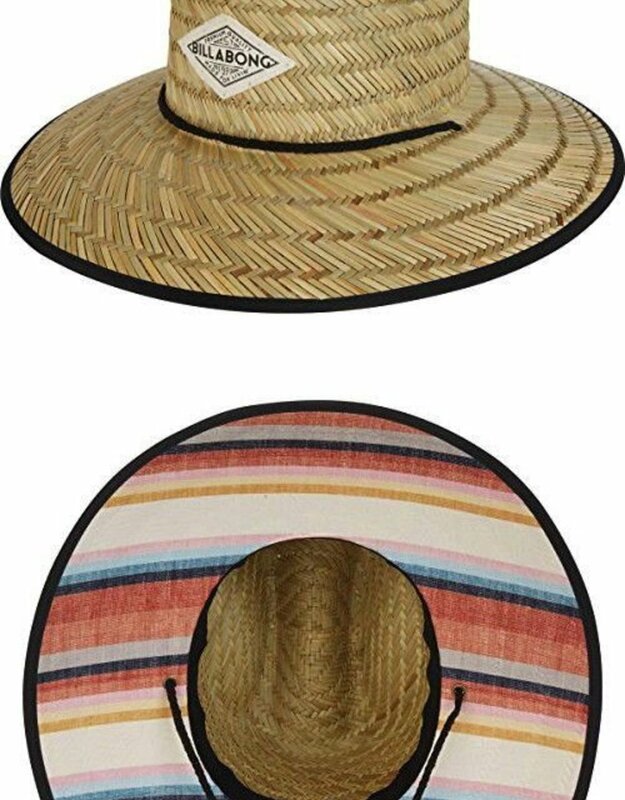 The nuts and bolts Women’s straw lifeguard hat. 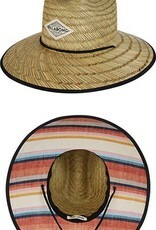 Striped fabric under brim. Billabong logo label at front. Adjustable chin strap. Material: sea grass.